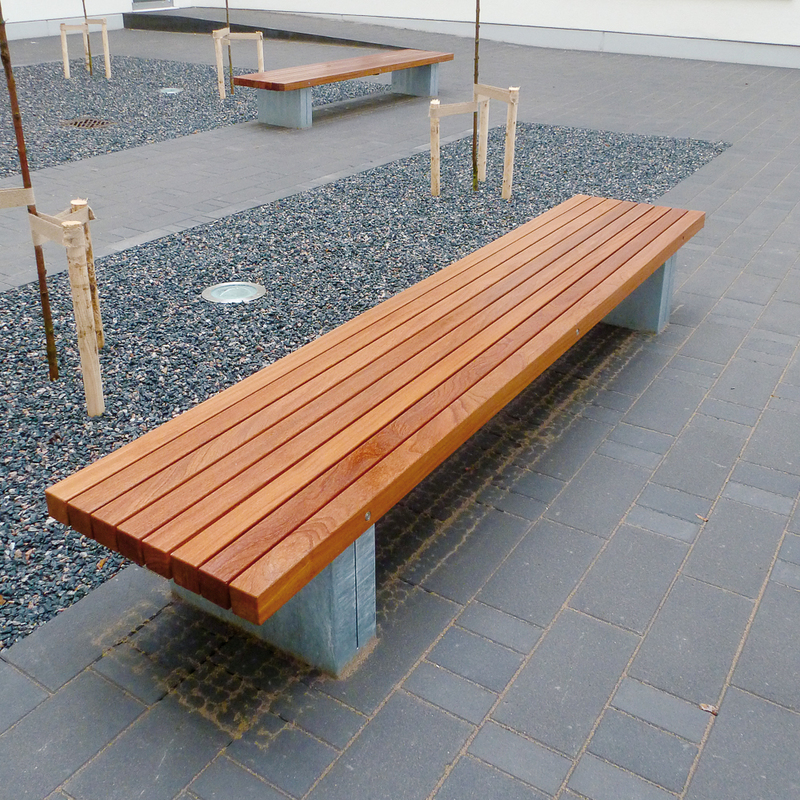 In terms of design, our Solid 6 & 8 Benches are modest and ‘minimalistic’. Both the wooden seat and the steel supports have a closed (solid) character. 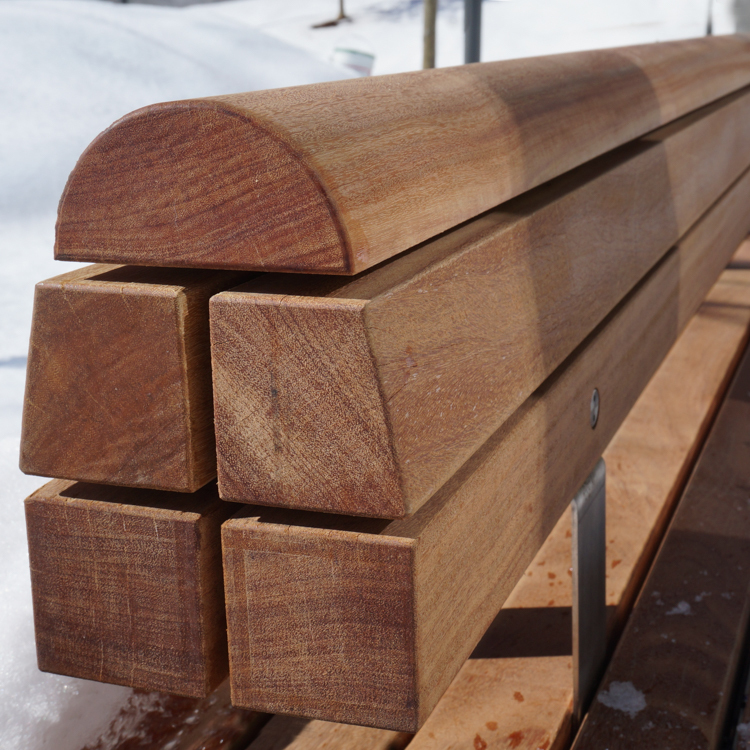 The FSC® hardwood 7x7 cm - 2.8”x2.8” beams are mounted in Streetlock® comb fittings; the space between the slats is only 8 mm - 0.3”. The Solid slats are mounted with a rod and stainless-steel theft-proof flanged nuts. For maintenance or repairs, they can simply be replaced or turned over. The steel supports are also solid in appearance, the closed steel support minimises the chance of waste accumulation. The supports can be easily anchored to the surface with concealed attachments. Optionally, they are available with an RAL coating. 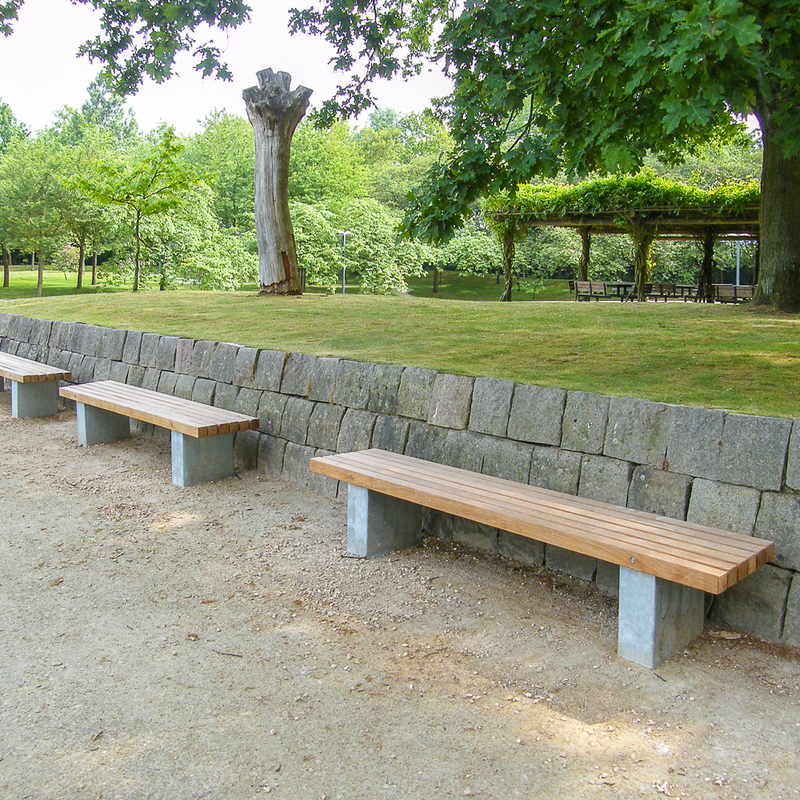 With the special connection units, long bench configurations can be realized. The two backrest models complement the Solid range. 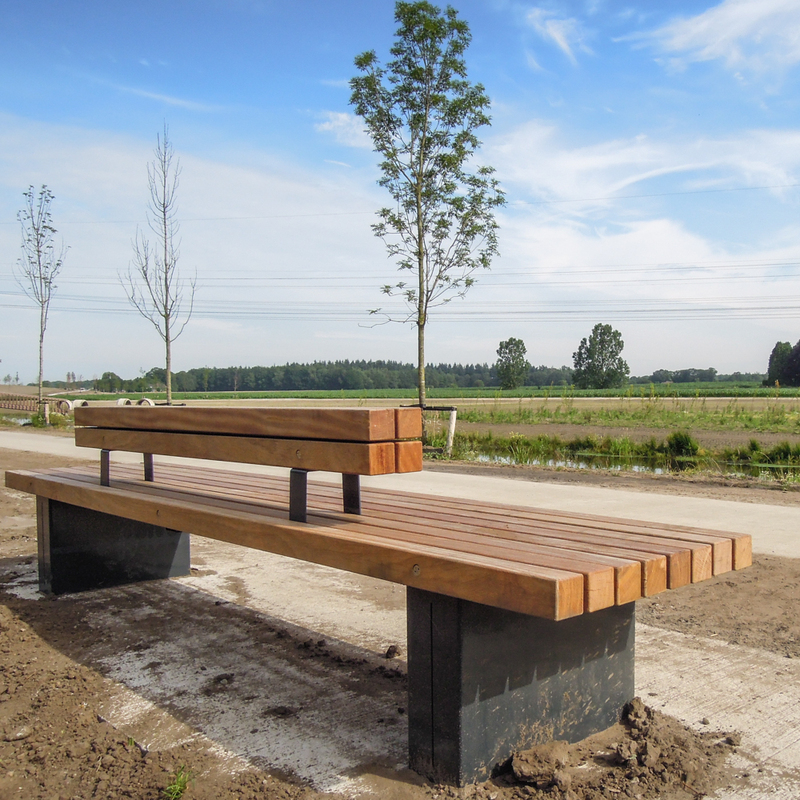 Standard seating depths are ca.46 (6-slats) or 62 cm (8-slats) | 18" or 24"
Available in standard lengths of ca.234 or 300 cm | 92" or 118"
On request available in custom lengths of up to ca.300 cm | 118"